Creating interesting characters with unique personalities is great and all, except it’s also really hard. That would explain why so many writers and artists rely on the tried and true. After all, if something has successfully been done 99 times, who’s going to blink when No. 100 shows up on their screen? But these trite tropes had to start somewhere, right? They didn’t just show up, fully formed on somebody’s blank page. 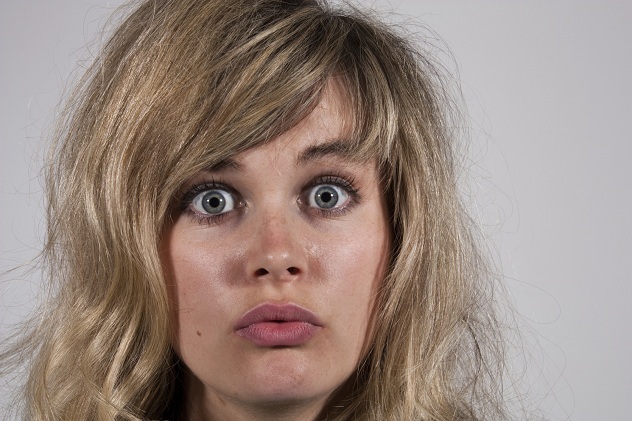 Be it a slice of life that somebody decided would fit well in their story or a brand-new idea completely baked in one person’s mind-oven, the stories behind the births of our most overused creative cliches are nothing short of fascinating. It’s nearly impossible to picture rabbits as anything but carrot-munching fluffballs. You see it in advertisements, cartoons, adorable children’s Halloween costumes, and countless YouTube videos; even though rabbits aren’t supposed to eat many carrots, or really anything that starchy, the cliche continues. After all, if it’s good enough for Bugs Bunny, why not the rabbit in your story? As it turns out, the trope only works for Bugs Bunny because he invented it. The carrot-rabbit tag team was not formed until 1940’s “A Wild Hare,” when Bugs was first shown chomping on a carrot. The reason he did so was because, along with physical comedy, Looney Tunes cartoons were devoted to parody and satire. 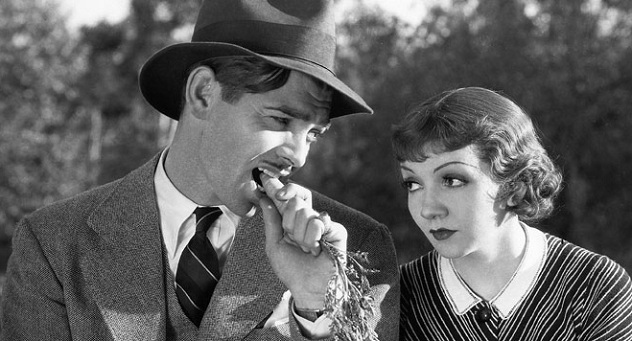 When Bugs chewed on a carrot while talking nonchalantly, he was mimicking a famous scene from Clark Gable’s 1934 movie It Happened One Night, in which Gable was doing the exact same thing. Audiences back then got the joke, but everyone else has forgotten about Clark Gable (crime!) and taken it at face value, rendering rabbits and carrots inseparable in the minds of many. While many might think Marilyn Monroe’s fictional airheaded characters were the impetus for every blonde bonehead since, the true culprit lived almost 200 years prior. Mademoiselle Rosalie Duthe, a blonde French debutante, was well-known among Parisians for being pretty, rich, and not too quick on the uptake. She would take forever to answer a simple question, not due to shyness, but because it truly took her that long to think of a solution. In 1775, a playwright named Landrin produced a one-act play featuring a mentally vacant blonde woman who was blatantly inspired by Duthe. The play was a huge success, much to Duthe’s dismay. She even tried to offer her kissing services to any poet who would write something good about her; nobody accepted, and the play birthed 230 years (and counting) of characters with light hair and a sub-human IQ to match. 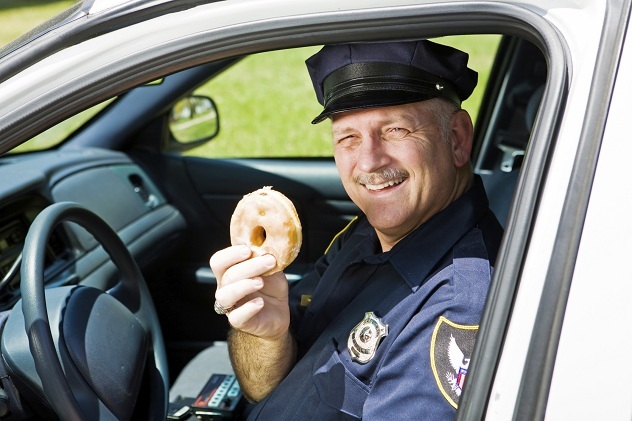 The origins of the fat police officer, gun in one hand and doughnut in the other, date back to the 1950s, when the first police cruisers came to be. Cops, used to walking their beats at all hours of the night, were now driving around town at all hours of the night, making sure everybody stayed in line. Obviously, being up that late and that long could get tiring. Enter doughnut shops, which tended to be the only places open at night, as they had to prepare for the mad rush of early-morning customers. Officers would stop into these shops during in the middle of the night for a cup of coffee and a sugary snack to help keep them going. The sight of doughnut shops at 4:00 AM being patronized almost entirely by cops was too amusing a sight to not exploit, and the tradition of writing every heroic officer as their local Krispy Kreme’s No. 1 customer officially began. No explanation exists as to why the Scots decided “boo” was the perfect scary word, or why they chose to use it on crying kids. Regardless, “boo” quickly became the catch-all word for surprising someone in a creepy way, so when the first ghost stories started about a century later, it made sense for the ghosts to yell “boo” as well. And we’ve been booing ever since (especially at Chicago Cubs games). This, along with “snips, snails, and puppy dog tails,” is just about the goofiest explanation ever devised for our snotty brats. Where could this possibly have come from? Well, just like ghosts and “boo,” the answer comes from literature—in this case, poetry. Robert Southy, a British poet, wrote a piece in 1820 called “What Folks Are Made Of.” Over 13 verses, Southy explains what everyone is made up of, from babies to sailors to old people. 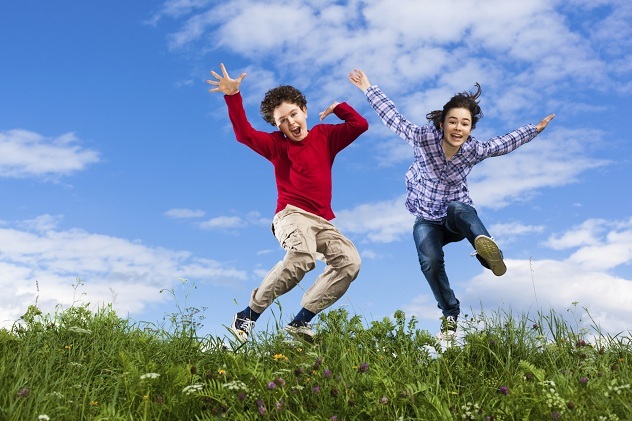 Boys and girls are simply the second and third verses, but they proved to be the most popular, so they’ve been repeated ad nauseum while everything else wallowed in obscurity. On a related note: While little girls may be sugary, spicy, and nicey now, Southy lets us know that by old age, they’ll be made of “Reels and jeels and old spinning wheels.” So you have that to look forward to, ladies. Much like cops and doughnuts, this trope was actually based on real life once upon a time. Back before fire engines, firemen would race toward burning buildings on horse-drawn carriages. The problem with using horses, however, is that thieves would make off with them rather easily. To counteract this issue, firemen would bring dalmatians along for the ride after it was observed that dalmatians and horses got along surprisingly well. The fiercely protective dogs would sleep alongside the horses and bark loud and long if a stranger ever dared come near. Soon enough, the dogs accompanied the horses and firemen everywhere, both on the job and at the firehouse. 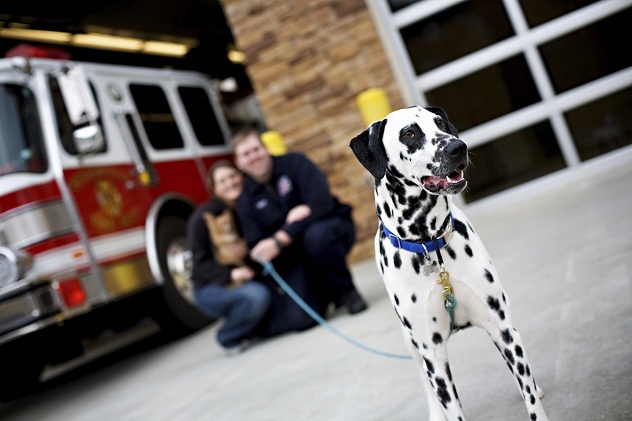 Once firehouses got engines and their horses were retired, dalmatians became fairly useless as workers. But the image stuck in people’s minds, linking dalmatians to firehouses to this day. Most every depiction of a firehouse will have a dog in it, and firefighters in a parade are basically required by law to bring a couple of them along for the ride. It just wouldn’t look right otherwise. Rabbits love carrots, but mice love cheese even more, at least according to every fictional mouse you’ve ever seen. Actual mice don’t even like cheese, which explains why people setting traps are encouraged to use peanut butter instead. So if it’s blatantly untrue, how did anyone even think of it? Well, you can blame the whole thing on the fact that refrigerators didn’t exist in the 1500s. Back then, food storage as a whole was extremely different. Meat was hung up on hooks, bread was bought on the daily, and very few things were kept in the pantry. Cheese, however, was very much a pantry item; this meant that, when a mouse went on the hunt for something to chew on, it would usually find cheese and not much else. 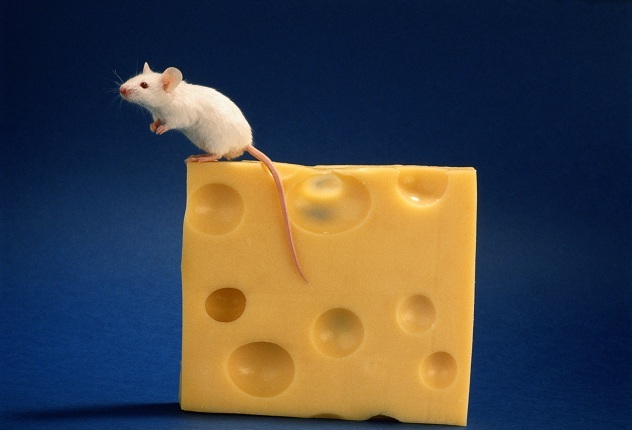 While mice don’t really like cheese, they will eat it if they can’t find anything else. So everyone was constantly catching mice in the cheese, thus spreading the popular belief that they live for the stuff. There’s a good chance that you already know that bulls are colorblind, and the constant motion of the cape is what aggravates the bull. That cape could literally be any color in the world, so why red? As it turns out, red is not their exclusive color. 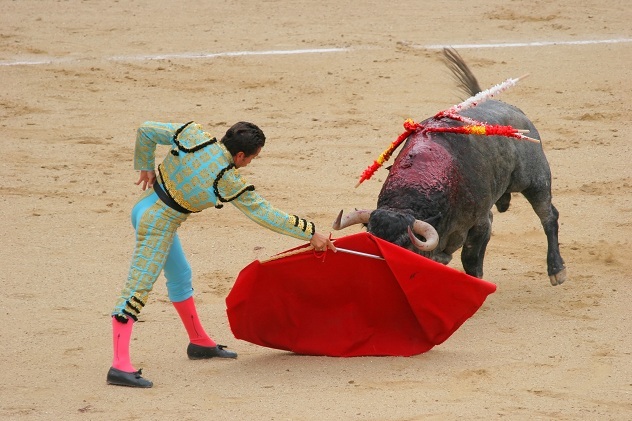 For much of the fight, the matador angers the bull with a cape called a capote, which sports colors like magenta, blue, and gold. Only at the end of the fight, when the bull is ready to die, does the red cape (called a muleta) come out to play. The color change is for one reason only: The bull is about to be stabbed to death, and the red cape helps cover up the blood and gore. Just because the audience paid good money to see an animal brutally murdered doesn’t mean they want to get queasy while it happens. Since the death of the bull is the main event, the red cape garners far more attention than the other colors. Therefore, fictionalized bullfighters fight with red capes 100 percent of the time, because bulls hate red stuff, right? Close enough. 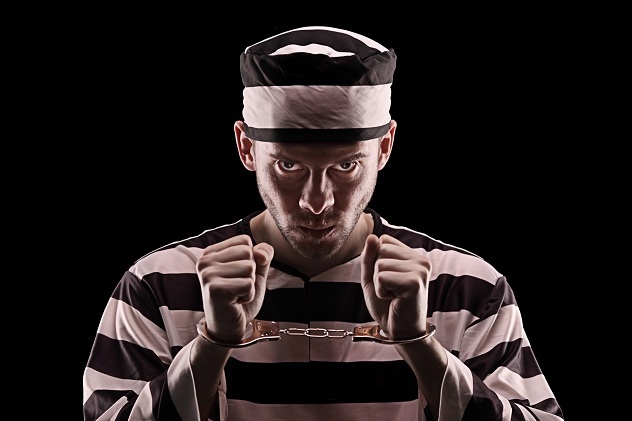 Despite orange jumpsuits being today’s main prison garb, the black-and-white-striped uniform is still king as far as cartoons, costumes, toys, games, and Elvis are concerned. But were the stripes ever truly popular, or simply something invented because professional idea-creators thought they looked cool? Turns out, the stripes were real. John Cray, the head warden of Auburn Prison in Cayuga County, New York, devised the striped uniforms in the 1820s as a way to ensure that escape would be near-impossible. Any prisoner who attempted a getaway would be dressed so distinctly that civilians would immediately notice him and aid in his recapture. The uniforms were discontinued in 1904, as the state considered them a “badge of shame.” However, they never really went away; writers and cartoonists found the uniforms fascinating and distinctive and continued to use them, enforcing their symbolism to the point where several prisons have recently begun to re-introduce them. In short, art imitated life, which turned around and imitated art right back. Despite many opera stars who could prove otherwise, most are depicted as obese bellowers with thighs as thunderous as the booming bass drums that accompany their every aria. So why does pop culture equate opera with obese? It seems we can trace it all to one character, singing one song, in one opera. Richard Wagner’s Der Ring des Nibelungen features a Valkyrie named Brunhilde closing out the show by singing for 20 minutes straight. Despite Brunhilde looking quite svelte in portraits, most actresses portraying her were a little bigger—not obese, but bigger. The success of Nibelungen, combined with Brunhilde’s show-stealing number, made outsiders see her as the face of opera. That, combined with humanity’s tendency to exaggerate and caricature at will, introduced the popular (and cartoonish) image of the obese, ugly, haughty opera singer, usually dressed as a Viking and always over-singing for no reason. 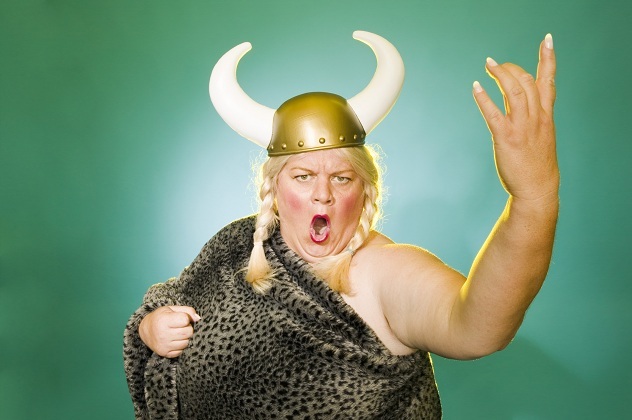 It didn’t help that the phrase “it ain’t over till the fat lady sings” was originally about Brunhilde, the “fat lady” whose singing signaled the end of an extremely long show. Jason Iannone is a Cracked Columnist and freelance editor. Follow him on Facebook, Twitter, and Tumblr, especially if you have doughnuts.